Ready to craft a site design and layout of your very own? Our Custom Template Builder makes it easy! Simply log in and select this button to get started. 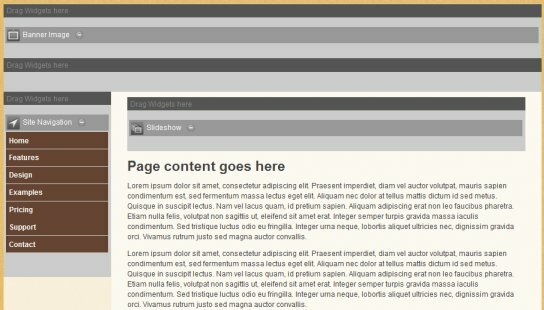 Easily add any site components using our click-and-drag interface. Select the component that you want and then drag it into a segment of your site template. Add space for your banner images, site navigation, footer content, and much more. Embed content from other sites or add your own! The layout is completely up to you! Most Build111 widgets are also available in the Custom Template Builder! Add your site calendar, events, news, and more to your custom template layouts using the same click-and-drag interface. Use the color manager to create your own custom color scheme for your template. We offer a few sample color schemes to get you started, but don't stop there! Create and save your own design! Set the colors of text, buttons, links, and more, all in one place. Have some professional web development knowledge? 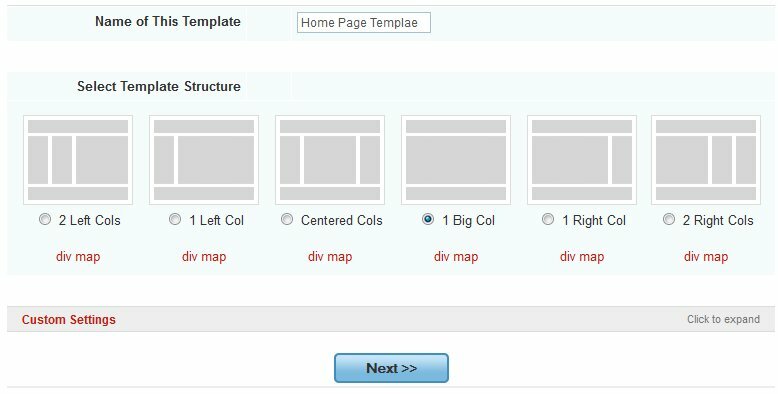 The Custom Template Builder provides a full div tag map of your page, along with easy access to custom CSS input. Add custom style to any part of the page. Learning a new system can be hard. Our Template Builder makes getting started easy. On your first visit, you will be greeted by a quick beginner's tutorial that will guide you through creating templates and using them for your site. Have any questions or difficulty creating the site design you envisioned? Our customer service representatives are available to answer all your questions and guide you as you build your custom Build111 template.